When experiencing moments of stress, taking a few deep breath’s in a forward fold (Uttanasana ‘OOT-tan-AHS-anna’) will help calm the mind and body. Forward folds give the hamstrings and lumbar spine a deep stretch. By hanging upside down, fresh blood is brought to the brain and gives a refresh sense of well-being. 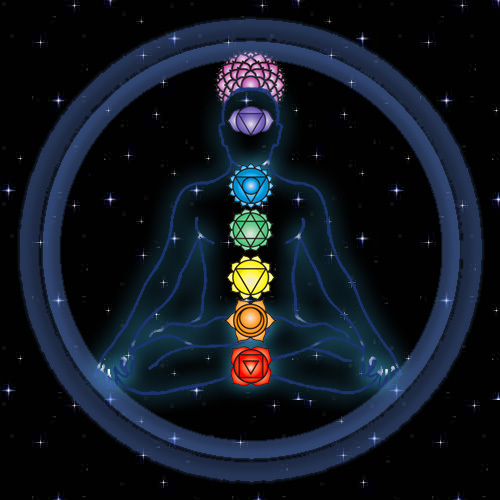 The first of the chakras from the main system of seven is: Muladhara chakra. 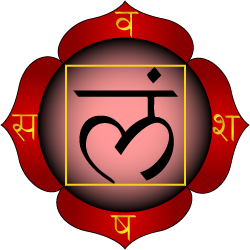 Shown on the right, the root chakra, has four petals bearing the Sanskrit letters va, scha, sha and sa. The seed sound in the center is lam. The tattwa of Earth is shown as a yellow square.